Last week the high schools in our area held their annual tryouts. Opening day is in two weeks. For most of our students, this is an exciting time — a chance to see the results of the hard work the put in during the offseason. That’s the story for most Ranch Guys … but not all of them. Today, the father of one of our students called and requested a meeting before our 4:00 pm class. Tim (not his real name), a right-handed junior pitcher had been working hard all winter and was steadily improving. He was now sitting around 84 mph and touching 86 occasionally, but his high school team is loaded with arms. Tim slumped in his chair, head hanging, and sadly reported that he had been cut from the team. “I guess that’s right,” he nodded. My reply was brief and direct. After the looks of surprise had faded, I proceeded to tell Tim and his Dad the story of Cody Martin. Cody was a junior at a local school in the highest classification in the state (9A). 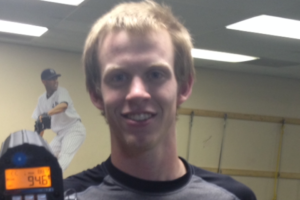 A right-handed outfielder/pitcher, Cody had played sparingly on the Varsity as a sophomore. I met Cody and his family at church when he was around 9 years old and casually observed him playing on a few different travel ball teams. He was never what you’d consider a good player. His coaches typically played him only a couple of innings per game, but you could tell he loved to play. 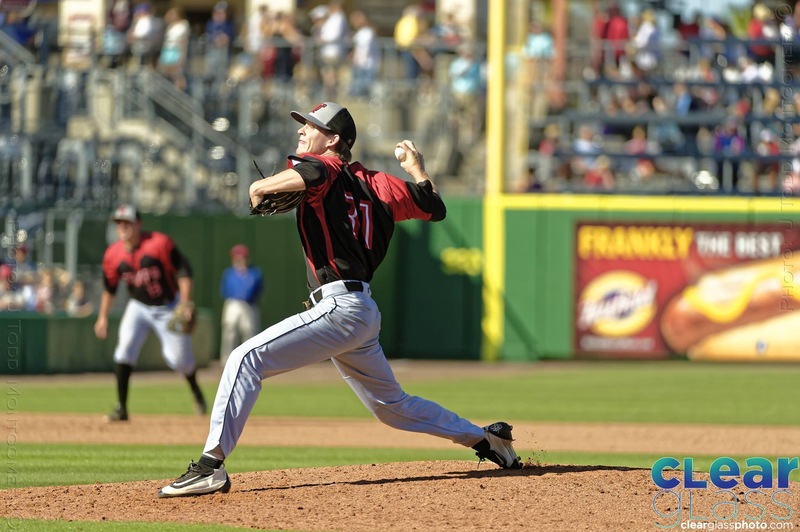 As he entered his high school years, he realized his best hopes for playing in college were going to be on the mound. He also became aware that since he was only topping out at about 78 mph, he would need to add velocity if he was going to advance as a pitcher. He started working out with us during the winter of his junior year in high school. Within 6 weeks, Cody had gained about 4 mph and when the tryout rolled around, he was excited to show his coaches the new 82 mph fastball he had developed. He thought the coaching staff would be pleased with the progress he had made and since he had been on the team the year before, he felt sure he was going to make it again. On the afternoon of the tryout, my phone rang. “I know it hurts, Cody, and I feel bad for you. But I think you may be missing that you’ve just been presented with a huge opportunity. You see, over the next four months, the guys who made the team will be held hostage for 4 hours every day, in practices that don’t truly help anyone on the team get better. And, while they’re busy riding buses and playing in games that, will have no long term impact on their baseball futures, you’ll have 16 weeks of uninterrupted training time. You’ll be able to come in and work on getting better every day. This will be the first time in your life that you’ve had a large block of time with no games or tournaments to get in the way. This gives you an enormous edge in your development. While others’ abilities will remain stagnant or regress during the high school season, you’ll be steadily climbing. Work hard every day, and you WILL improve. Your body cannot choose not to participate. 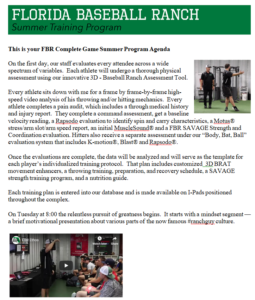 If we get the training plan right (and we will), you’ll pack on a few more miles per hour, your command will sharpen, and we’ll develop the secondary pitches you’ve been missing. When the summer rolls around, you’ll be better than ever and they’ll be wondering what happened. He came in 4-5 nights per week, grinding out grueling 2-4 hour sessions. The work was tough, but his grit and determination were tougher. He would make some gains, then slide backward. But, every time he failed, he got back up and tried again. Whenever he felt like quitting, I would remind him that if he gave up, he would prove all of his doubters right. summer with mixed results. In the fall, Cody went to a showcase, and in two innings of work, he touched 93 mph six times. The University of Tampa, a perennial D2 powerhouse, offered him a spot and he accepted. During his first collegiate season Cody was relegated to the JV team — not exactly an auspicious beginning. Unwaveringly, he continued to work out with us 2-3 times per week, many times sneaking over after his team practice. In his sophomore year, things starting coming together and Cody found a role as the team’s 8th inning setup man. After the season, he was invited to pitch in the Cape Cod League on a temporary contract and performed well. In his third year of college, his confidence rising along with a fastball that now occasionally touched 96 mph, Cody had a breakout season as a dominant closer. When the story ended, Tim and his father made eye contact and exchanged warm smiles. Tim stood tall, looked me in the eye, shook my hand, and said, “I’m in! Let’s do it.” He joined the class and worked with a fervor and intensity we hadn’t seen from him before. If he stays committed to the process (and I’m sure he will), I have no doubt that Tim will find Cody-like success. It happens all the time around here. You see, Cody’s story is not all that unique at the Ranch. There are dozens and dozens of Ranch Guys who have faced similar struggles and come out on top, just like Cody. At every level of baseball, decision-makers will evaluate you to determine if you’re good enough to play on their level. Get used to it. That coach who cut you? He’s just a man – a well-intentioned, but flawed and imperfect man — who has the right to his opinion. That recruiter or scout that passed on you? He’s a guy who is paid to do a job. He’s out there shaking the bushes to find players he believes will fit in at his level. Every time one of these guys sees you play, he’ll form an opinion of you. It’s what he’s paid to do. Maybe he’ll like you. Maybe he won’t. The lesson Ranch Guys have learned is that no matter what others think of you or how they rate you, you cannot let their assessment cause you to stop chasing your dreams. No one can define you. No one can tell you it’s time to quit. No one can keep you from soaking up every ounce of joy you can get from this game. And, NO ONE can take away the joy in your life. YOU and YOU ALONE have control of that. Wanna know the fastest way to find joy in baseball? Stop worrying about what others think of you and PLAY BETTER!!!. Call us and let us design a plan to help you play better. Our next SAVAGE Weekend Throwing Boot Camp is scheduled for March 9-10. We still have a few spots left. If you’re interested in a more long term experience, try our Complete Game Summer Training Program. And if you can only spare a day, check out our Precision Strike One-On-One Program. P.S. 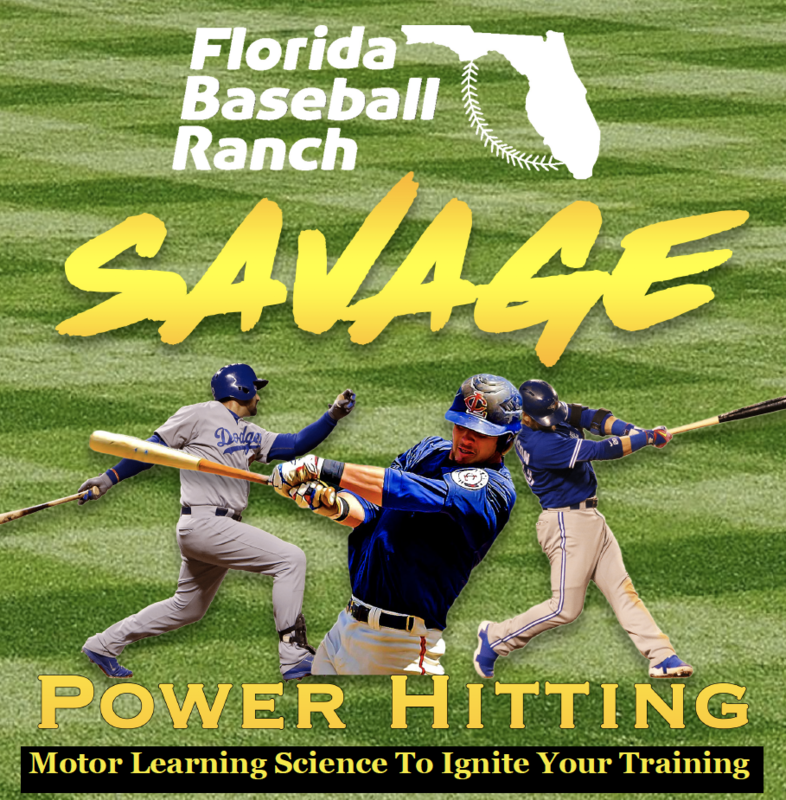 Our inaugural SAVAGE Power Hitting Camp (yeah … we crush it with hitters too) will be held on May 4th and 5th. 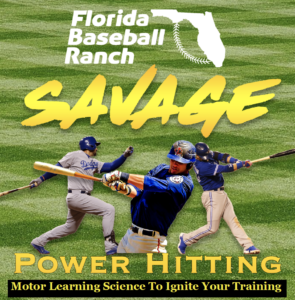 If you’re ready to ignite your hitting performance with our revolutionary SAVAGE training process Check out this free E-Book that describes everything in detail. CLICK HERE for the free E-Book.